Well for bookishness this was a sort of quite week. I had a preorder, two review requests approved and then a Book Depository coupon was sent to me so I had to order something! Lol! Didn't do too bad all things considered! 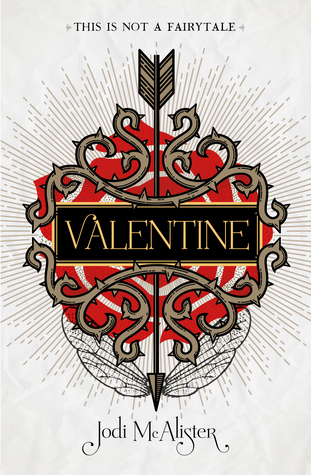 Valentine by Jodi McAlister--have had this on my wishlist for a year now and thought I'd buy it since I had a coupon! Only I just now learned there's a sequel!! How did TBD not tell me this?! 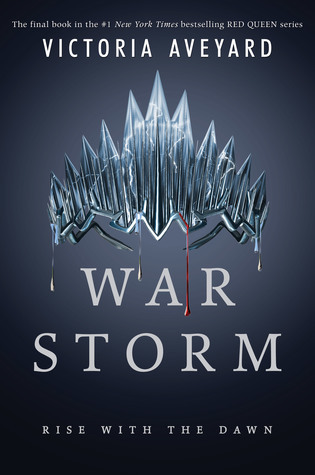 War Storm by Victoria Aveyard--I can FINALLY read the rest of the series now!! I just need the time! Lol! 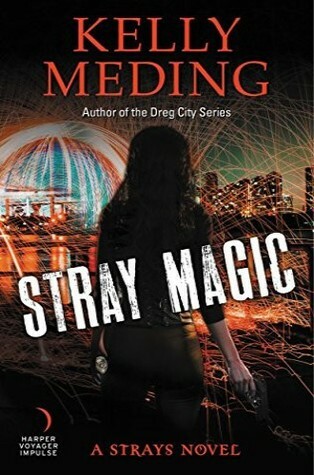 Stray Magic by Kelly Meding (ARC)--SO excited to read a new book from her!! 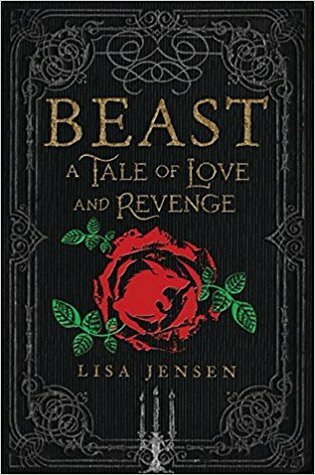 Beast by Lisa Jensen (ARC)--a little hesitant with this one because I didn't quite like Alias Hook as much as I had hoped, but this is B&tB and I had to at least give it a try! THANK YOU Harper Voyager & Candlewick Press!! 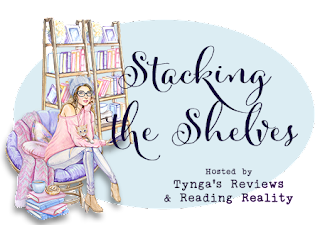 A super special sticker from Crystal Cestari and her Windy City Magic series! A new shirt from Out of Print! My gorgeous When in Doubt Go to the Library in my Gryffindor red shirt got a hole in it after one wearing! So I wrote to them and though they couldn't get me another one of those, they did allow me to pick any other shirt, so I went with this one since I LOVE this saying! My new blogging planner for the coming year! Not that I see the cover at all, but I thought this one was cute! Plus the lines inside are just how I like them! Already added my July scheduled reviews in it! Making progress already! I haven't read any of the books but the covers look great! happy reading! I hope the Red Queen series has a great ending. I gave up after Glass Sword. I am really looking forward to Stray Magic. I haven't read this author before so I am happy to hear that you have liked some of her other work. You have to love a new bookish t-shirt! Ooooh I'm really interested in that Beast book! I've got Alias Hook, but I still haven't read it. I can't wait to see what you think! Stray Magic looks cool, I don't think I have read her. Have a great week Jessica. Alot of bloggers got War Storm this week, I hope you like it. Love the T-shirt and planner!! Have a great week!! I love that planner! OMG, super curious about that Lisa Jensen book. I love B&TB retellings. I hope you enjoy all of your new books! Sooo looking forward to Beast! Always down for B&tB retellings. Happy reading! I'm looking forward to hear what you think of Beast! I can never resist a B&tB retelling either. I really need to finish Aveyard's series too. I'm glad you reminded me! Ooh Kelly Meding- I just read my first book by her a couple mnths ago. Let's Discuss: What Makes You Laugh? Let's Discuss: How Do You Relax? Still Looking for an Origin Event Buddy! Let's Discuss: Do You Believe in Aliens?